posted: August 23, 2017 by: Jenna Gallegos for The Washington Post Tags: "Clinic Specials" "News"
Losing weight is tough. It would be easier if a benevolent someone concerned about your health controlled exactly how much you ate and how often you exercised, right? That’s the situation for most dogs and cats in the United States, and yet the majority are overweight or obese. As with our own dieting woes, the unpleasant prospect of the simple solution – feeding our furry friends less – makes us reach for alternative, quick-fix strategies. Many pet parents have turned to radically new menus. These grain–free, all-meat and raw-food diets are inspired by the meals eaten by wild relatives of our fidos and felixes. But are these diets really better for our pets? Veterinarians and pet nutrition researchers say probably not. According to clinical veterinary nutritionist at Tufts University, grain-free foods were one of the fastest-growing sectors of the pet food market in 2016. “All I ever hear is, oh, on a good diet, its grain free,” said Dena Lock, a veterinarian in Texas. The majority of her pet patients are overweight. 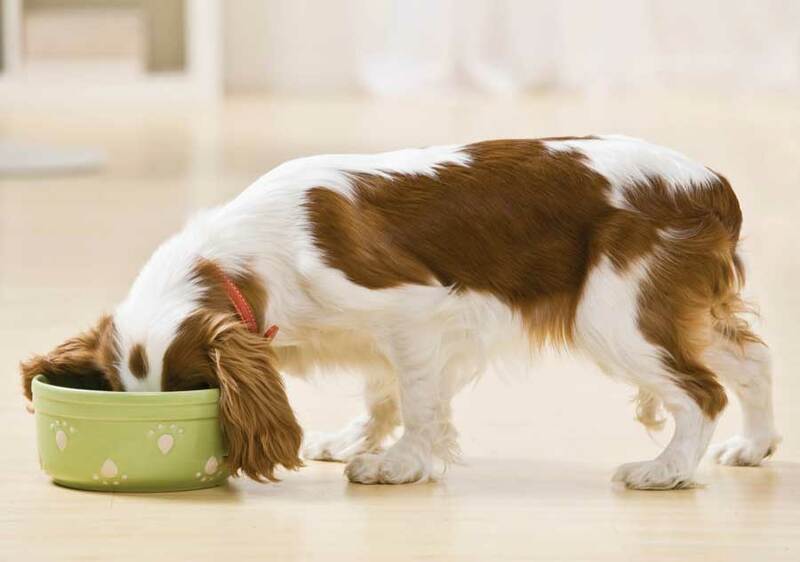 Why have these pet diets become so popular? “It’s a marketing trend,” Lock said. “Grain free is marketing. It’s only marketing,” said Cailin Heinze, a small-animal nutritionist at Tufts University’s Cummings School of Veterinary Medicine. “A lot of foods market themselves by what they’re not including,” and the implication is that the excluded ingredient must be bad. There is absolutely no data to support the idea that grain-free diets are better for pets, Heinze and Larsen noted. Some pet owners have a false impression that grains are more likely to cause an allergic reaction, but “it’s much more common for dogs to have allergies to meat than to grain,” Heinze said. Chicken, beef, eggs, dairy and wheat are the most common allergies in dots. And it’s not that there’s anything particularly allergenic about these foods, she said, they’re just the most frequently used ingredients. Marketing campaigns for products such as “Taste of the Wild” or Blue Buffalo’s “Wilderness” claim that their grain-free, meat-forward formulations better reflect the ancestral diets of our dogs’ and cats’ evolutionary predecessors, but the veterinarians I spoke with also questioned this logic. For dogs, we know that they have diverged from wolves genetically in their ability to digest starches. “Dogs aren’t wolves,” said Robert Wayne, a canine geneticist at UCLA. “They have adapted to a human diet.” Research in Wayne’s lab showed that most wolves carry two copies of a gene involved in starch digestion, while dogs have between 3 and 29 copies. According to Heinze, the average dog can easily handle 50 percent of its diet as carbs. For cats, this argument makes a little more sense. Cats are carnivores rather than omnivores, so they have higher protein requirements than dogs, but “cats can digest and utilize carbohydrates quite well,” said Andrea Fascetti, a veterinary nutritionist at the University of California Veterinary School in Davis. Many grain-free pet foods are made with starch from potatoes or lentils and they may be higher in fat. If you cut grains but increase calories, your pet is going to gain weight, Heinze said. Dogs and cats also have a drastically different lifestyle from wolves or tigers. Pets are almost always spayed and neutered which is in itself a risk factor for obesity. And most live inside or in pens, so their energy needs are reduced dramatically. In the wild, wolves and feline predators eat the hair, bones and cartilage of their prey, not just meat. For pet owners who do choose to feed their animals an all-meat diet, it’s essential to add supplements to make sure their pet isn’t missing out on key nutrients such as calcium, Fascetti said. And there’s the environmental impact to consider: Pets consume a quarter of all animal-derived calories in the United States. Experts especially caution against feeding pets raw meat. “It’s not uncommon to find things like salmonella, E. coli and listeria in raw meat,” Larsen said. There are a lot of microbes present in our farming systems, and unlike when an animal is hunting in the wild, there are many opportunities for bacteria to contaminate meat between the time an animal is slaughtered and when it reaches our kitchens. Even if eating contaminated meat doesn’t make pets sick, it poses a health risk to pet owners and their children who handle the pet food and waste. The Centers for Disease Control and Prevention and the Food and Drug Administration both warn against feeding raw meat to your pets, and “I really can’t advocate it, because it’s not safe for the whole family,” Heinze said. If pet owners wish to formulate their own diets, they should work with their veterinarian and a board-certified nutritionist. If you’re feeding your pet a balanced diet such as in a commercial chow, obesity is the biggest nutrition issue pet owners should worry about, Heinze said. We want our pets to enjoy what they’re eating, so many foods and especially treats are formulated to be high in fat, Larsen said. Most people don’t realize that a milk bones has about as many calories as a candy bar, Lock said. I know the struggle. My own hefty husky mix stares at me with her big brown eyes and licks the window whenever she wants food. I’ve taken to calling the dental chews I buy her “guilt-a-bones,” because I can’t help but give her one every time I leave. But studies have found that feeding dogs to maintain a lean body weight has very positive effects on their overall health and can even increase life span. This is also the case in mice and rats, and “we believe that these findings apply to cats as well,” Fascetti said.